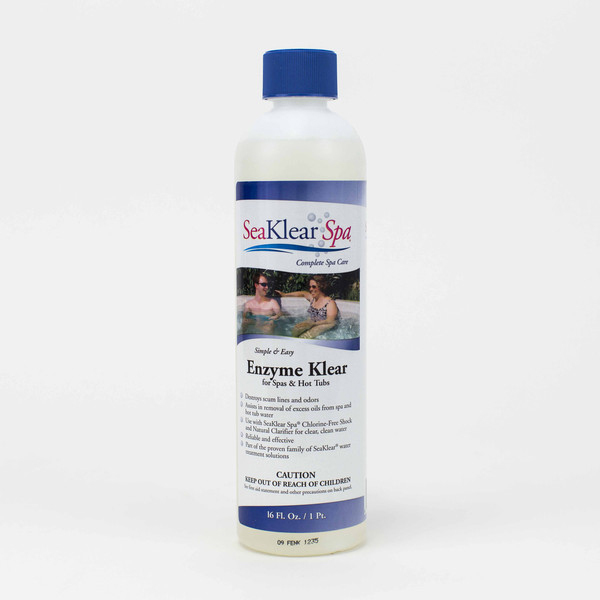 SeaKlear Spa Enzyme Klear destroys scum lines, odors and helps remove excess oils using a natural enzyme. · Made in the United States. · For Cleaning Tile: Apply SeaKlear Spa Enzyme Klear full strength on a sponge or brush at tile line. · For Cleaning Water: For initial application, add SeaKlear Spa Enzyme Klear to the skimmer or directly to the circulating pool water at the rate of 1 oz. 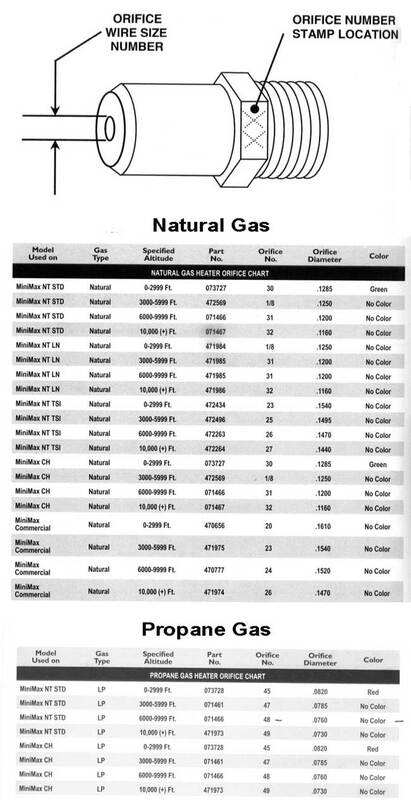 per 2,000 gal. Allow to circulate thoroughly. A second application may be necessary after two days if a severe problem exists. · Maintenance Application: To maintain crystal-clear water, add 1 oz. SeaKlear Spa Enzyme Klear per 4,000 gal. of pool water weekly. For extreme oil in water, double the dose and frequency. · Closing: After following the normal closing procedures recommended by your dealer, add 4 oz.SeaKlear Spa Enzyme Klear for each 2,000 gal. 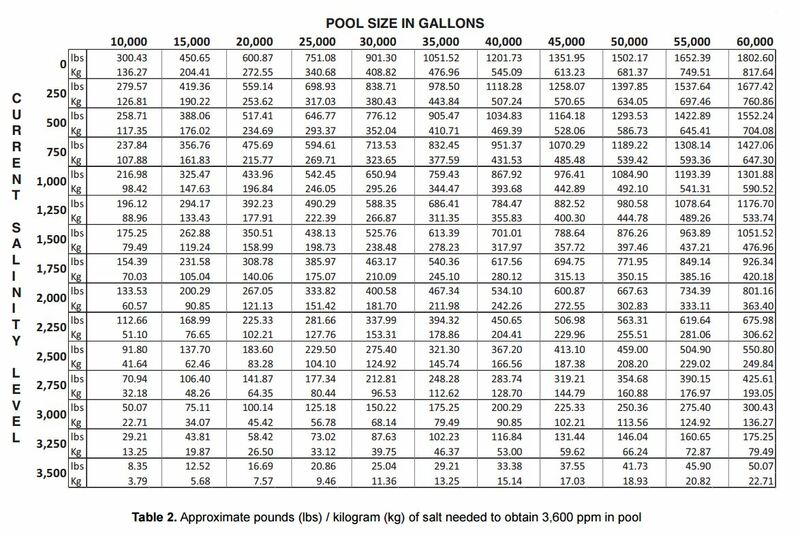 of pool water through the skimmer.